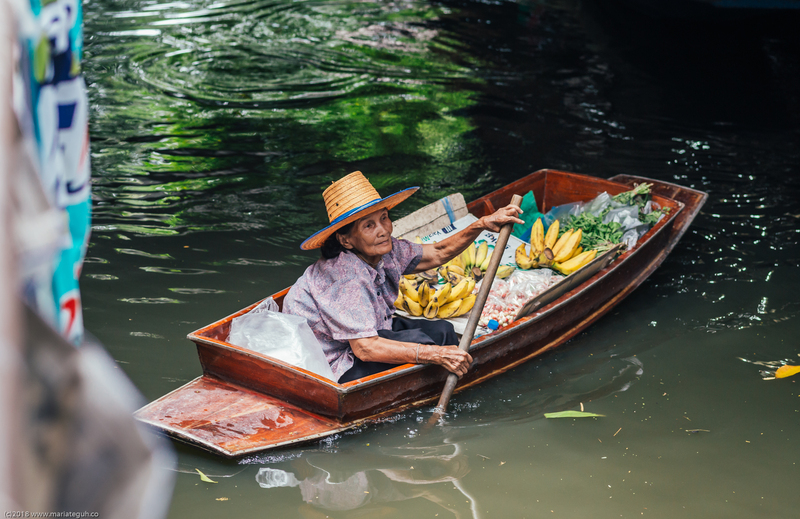 Curious to find out what floating market you can visit while in Bangkok, then here’s the list that you can check out. 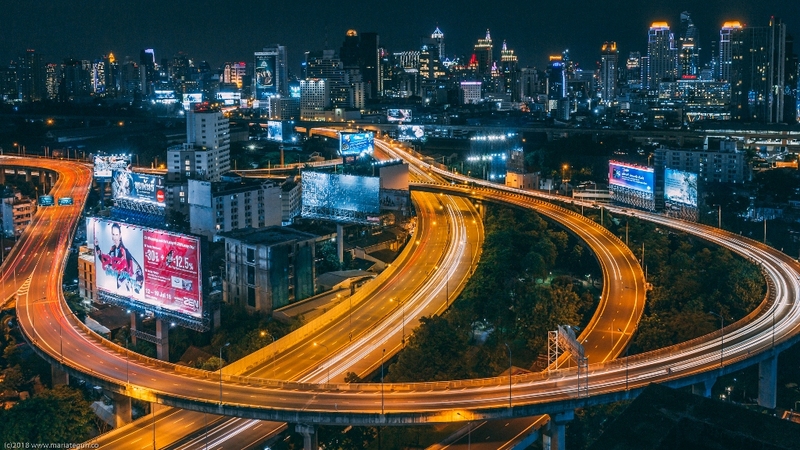 We’re not going to list Amphawa floating market and Damnoen Saduak floating market, as those two are literally located outside Bangkok and you need like around 2 hours to reach the place. 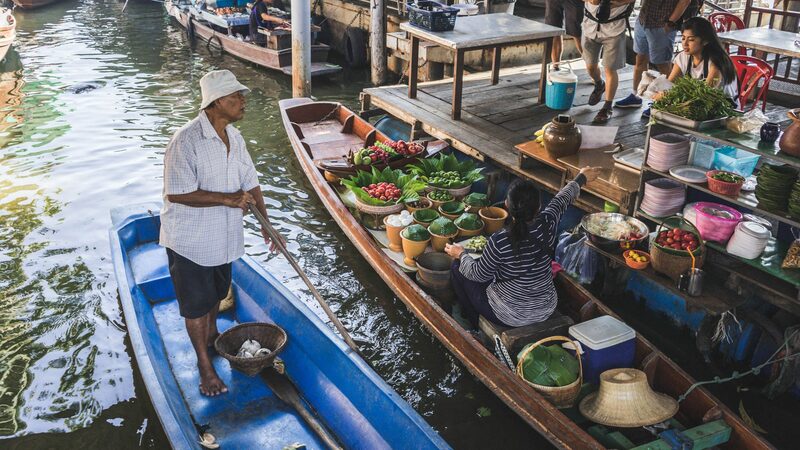 All the “floating” market below are still located around Bangkok and you don’t need to travel hours or wake up early morning just to enjoy the market. 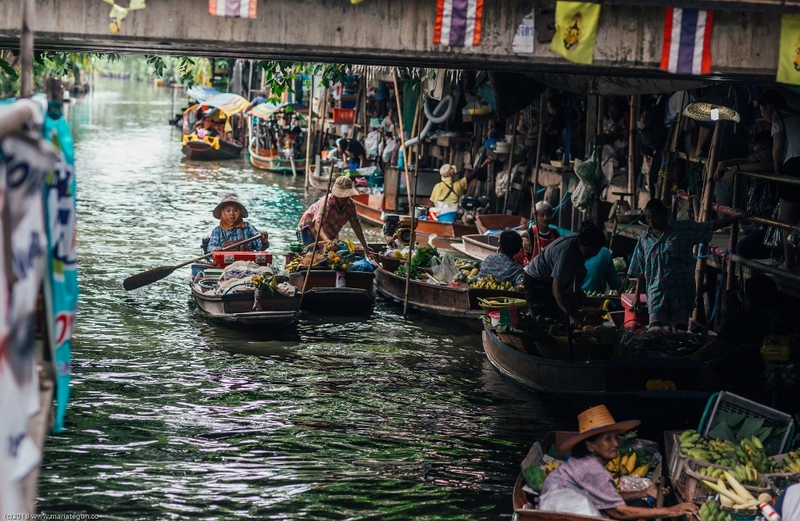 Also, the word “floating market” for these markets inside Bangkok, mostly just used as to attract people to visit, but actually they only have few boats floating selling things, and you can do shopping like in another regular market. So basically you can explore the market by walking around, don’t have to rent boat like in Damnoen Saduak. Taling Chan floating market ==> The easiest and most well known floating market inside Bangkok. Means this place is crowd with foreign tourist. This market is the only place who still have more boats selling things compared to another market. Find more detail about the market here. 2. Bangplee “floating” market ==> Known better as an “old” market, where the place already established since 130 years ago. Only have very few boats selling things, as you need to walk around to explore the place. Best thing to visit as well big temple behind this market. Check out more about this market here. “Boat bridge” you need to take to enter Bangplee old market. 3. Kwan Riam floating market ==> This is literally our favorite, coz located just few kilometer from our place 😀 Nah, more like place is more organized and they have mini zoo as well inside the market. Therefore, if you have kids, this place is better than any other market. 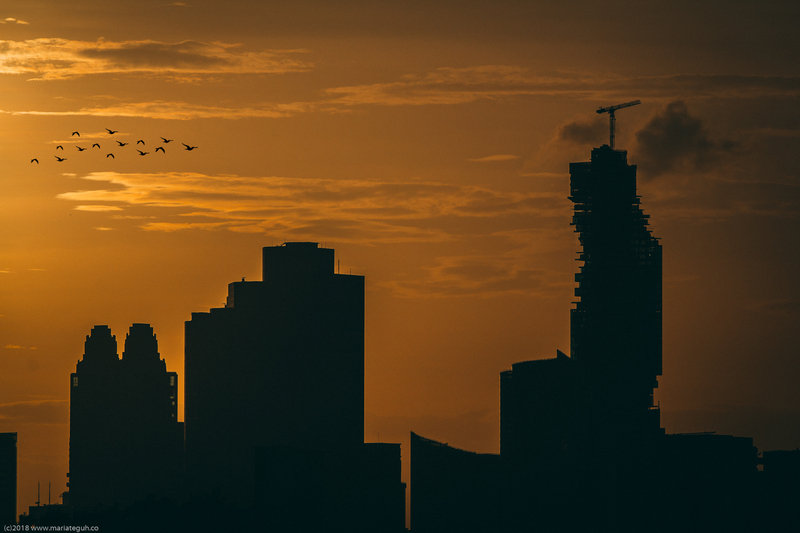 More detail on how this place is worth your visit is here. 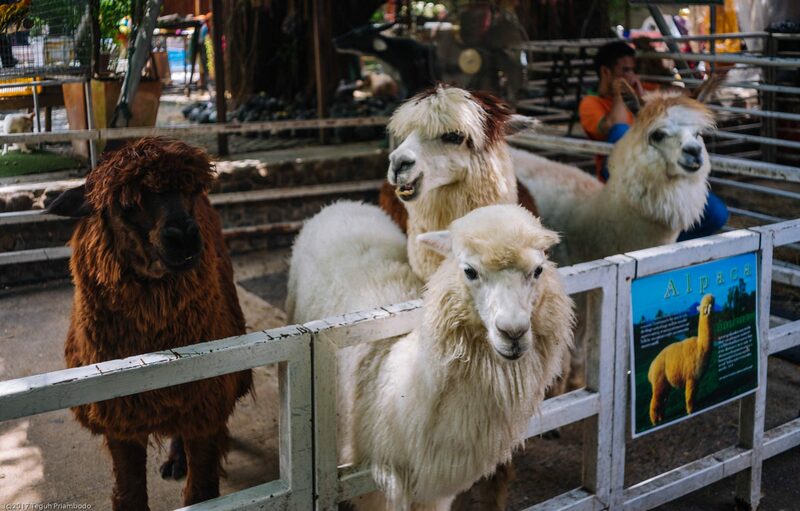 Alpaca is one from another animals you can find in Kwan Riam floating market. 4. Bang Nam Phueng floating market ==> Not too far from BTS Bangna, so this one is easy to reach if you stay along Sukhumvit Rd. However, the place is quiet huge with many stalls instead of boats. This market also connected with Bangkracao (lungs of Bangkok), so you can rent bike to explore the whole place. Find out more here. 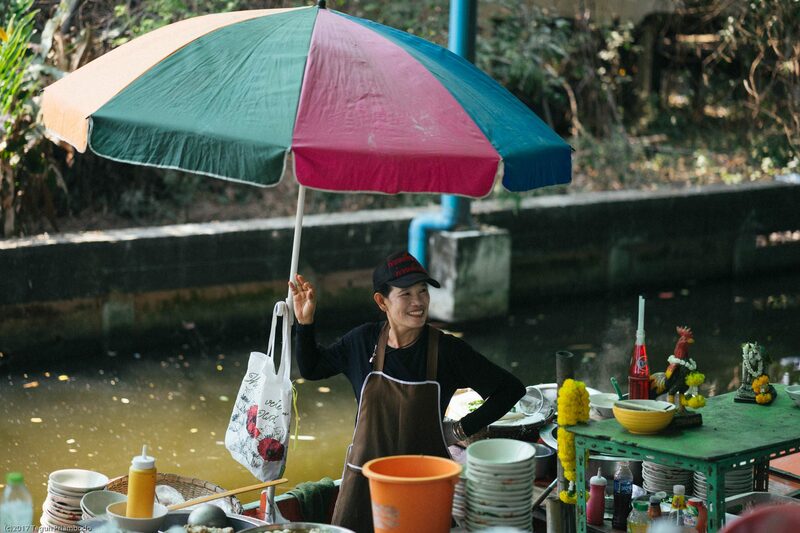 One of boat that selling food in Bang Nam Phueng market. 5. Ko Kret ==> Literally not floating market, but more like an island that becoming market during weekend. Best part on this place is lunch in restaurant near the river bank. What a weekend you will have. Get more detail here. 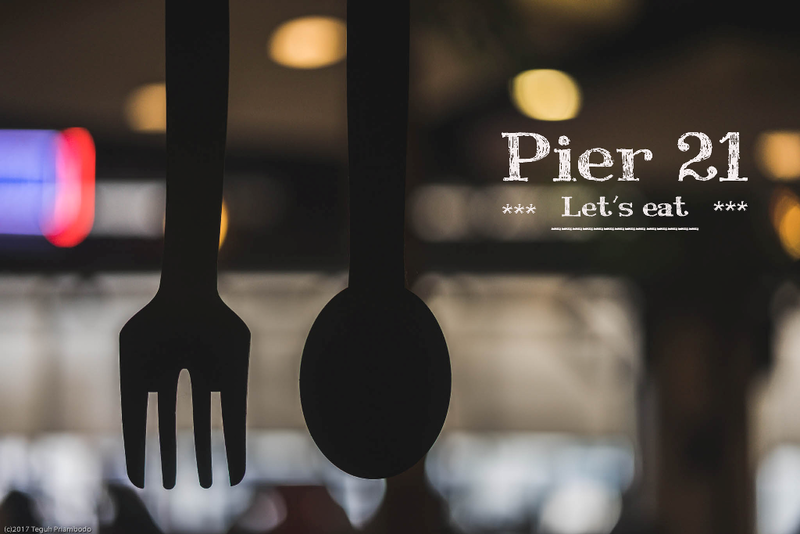 Don’t miss the chance to have lunch in spot like this in Ko Kret. 6. Lat mayom floating market ==> This place is always crowded. Mostly only locals know about this market, but today you can find foreigners as well strolling the market. Located few kilometers from BTS Bangwa, so you won’t have to hassle too much to experience shopping in this market. Check out the detail here. Boats you can find in this market. More of them are tour boats than boats selling foods. Remember, please click the links above to find more detail such as opening hours and how to get there. Also by using those, you can decide which one is the best option for your taste. 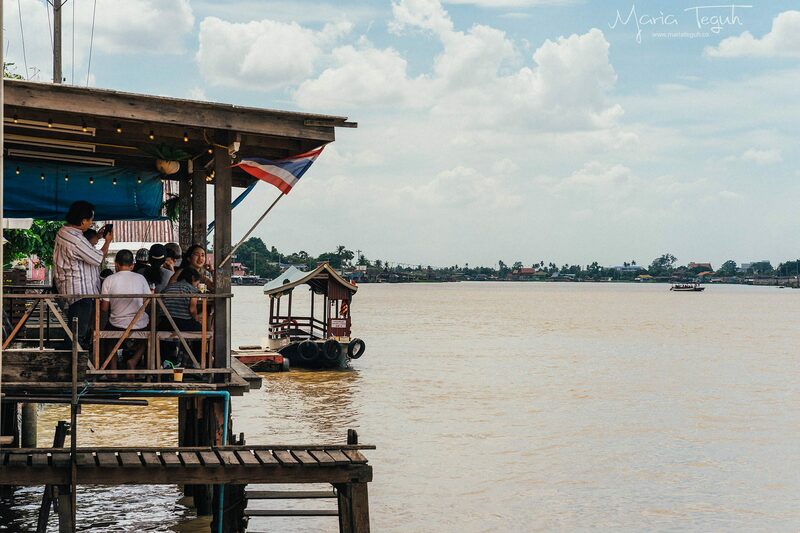 So enjoy your Bangkok floating market, and don’t forget to share your experience in comment section.